We stock a variety of DC Appliances uniquely designed to compliment Solar Projects. From DC Refrigerators, Ceiling Fans, Lighting, to Electric Bicycles and Garden Lights, our inventory is always evolving. Please check in with us to find out about our latest accessory items to compliment your solar system. Beautiful and Functional 12/24 DC Refrigerator under 5 amps! 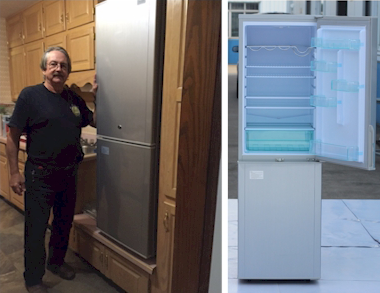 Upright 7.4 CF Refrigerator with Freezer compartment on Bottom, Variable Thermostat, Shelves, Drawers, and Ice Trays. Power consumption is under 60 Watts. 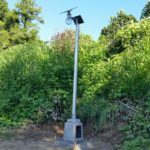 Perfect for Solar Applications, Small cabins, etc. Unit contains a Digital Control Panel, T34K Compressor with Integrated control Electronics, Low Voltage Protection, CFC Free Polyurethane Foam, Direct Connection to DC 12 Volt or 24 Volt. 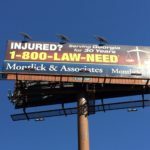 Dimensions: 63″H 23″L x 20″w. Imported from China. Price: $1200. 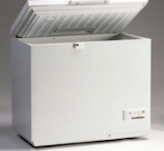 Sun Danzer DC Chest Refrigerator/Freezers offer Solar Solutions for a variety of applications. Energy Efficient Refrigerators and Freezers come in three sizes, 5.8 cubic ft. 8.1 cubic ft. and the newest 390 Liter Model. These Efficient units can maintain internal temperature for up to 7 days. Refrigeration Packages include Solar Panel, Battery Pack, and Voltage Regulator with Pulse Width Charging. 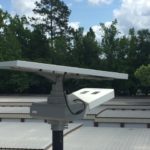 Optional Lighting Packages and combinations including both DC Refrigeration and DC Freezer can be added for Emergency Management, or commercial needs. Pricing starts at $1195. 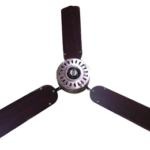 Solarland DC Ceiling Fans offer Easy universal installation, Low current draw, Low noise, and can be powered by a 12-volt battery. These fans have 5 speed options and a Remote control. 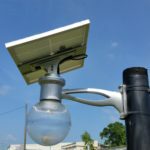 Perfect for off grid applications and priced at only $78. White only. 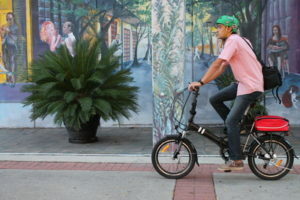 Ask about our new Electric folding E-Bikes! E-Bikes are great for Exercise and Efficient travel. Bikes have a 7-speed all Electric or Electric assist motor that can be scaled to each individual’s needs. Bikes feature Flexible programming, on board digital readout, finger shifting, and can reach speeds of up to 20mph. Pricing starts at $995.